Children tease because it can be a fun way to provoke a reaction in someone else, and they may want to reciprocate being teased themselves. Teasing can strengthen a relationship by showing closeness and affection with another person. It can help show others what behaviors are appropriate in society: for example, teasing someone for talking with his/her mouth full communicates – without direct confrontation - that this is not a polite and socially accepted behavior. Teasing also represents an indirect and non-threatening (perhaps even playful) method for resolving conflicts by providing an outlet for expressing frustration or disapproval. While teasing can be used to strengthen a relationship, it can also be used to alienate, criticize, and embarrass another person, which may weaken the relationship. The affectionate interaction of teasing can turn hostile when the person being teased is distressed by the teasing. Teasing about physical appearance is almost always hostile and hurtful. This is not surprising since appearance has so much influence on social acceptance and is out of the individual’s control. The content of the teasing turns from affectionate to hostile. There is a power imbalance: the person teasing has more power among peers compared to the person being teased. The child who is teasing means to upset or hurt the child being teased. The child being teased is upset or hurt by the interaction. Keep in mind that some children, boys especially, may not show that their feelings are hurt. If you are not sure whether the teasing is hurtful, pull the child being teased aside to ask them how they feel about it. Always acknowledge that the bullying is unacceptable and will not be tolerated. Talk with the child who is teasing about why they are teasing. Use that information to inform a discussion of alternate ways of connecting with peers. Does the child know how to engage with others, or is he/she resorting to teasing or bullying as a way of getting attention and connecting with peers? Maybe this child has learned to use power to hurt others by observing similar dynamics at home, in which case it will be important to discuss that those behaviors are not tolerated in the group and must be adjusted. 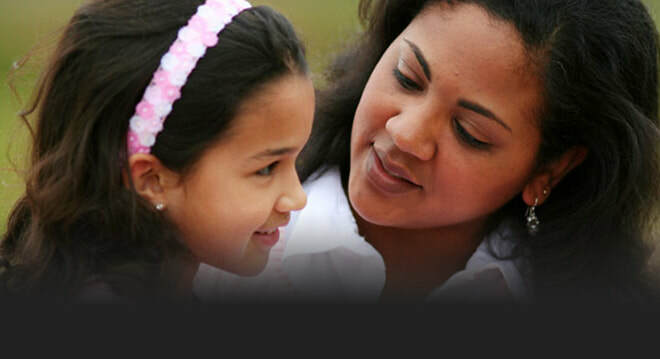 Talk with the child who is being teased to find out how they are feeling. Let them know they deserve to be treated with respect. If the child has trouble asserting himself/herself, discuss and practice ways he/she can confidently tell a child who is teasing or bullying to stop. Make sure the child knows they need to talk to a trusted adult or supportive peers if the teasing or bullying continues. TRUST YOUR GUT INSTINCTS! If you feel that the teasing is negative for anyone involved (even yourself as a witness), then it is worth further investigation! Be aware of your own use of teasing - make sure that the impact is positive. Keep in mind that younger children may not understand teasing, especially sarcasm, and may experience your teasing as hurtful. While the winter may bring snow days and new activities, it's also the time of year when children are most susceptible to catching colds, coughs, flus, ear infections and sinus infections. It can also be a trying time of year for parents as they try to protect their children’s health as well as their own. Here are nine tips to help your family prevent the spread of germs and illnesses. 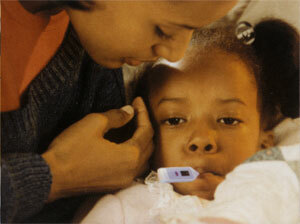 If your child is not feeling well, your physician is the best person to consult about whether she can go to school. Common sense, con­cern for your child's well-being, and the possibility of infecting classmates should all contribute to the decision about whether your child should stay home. 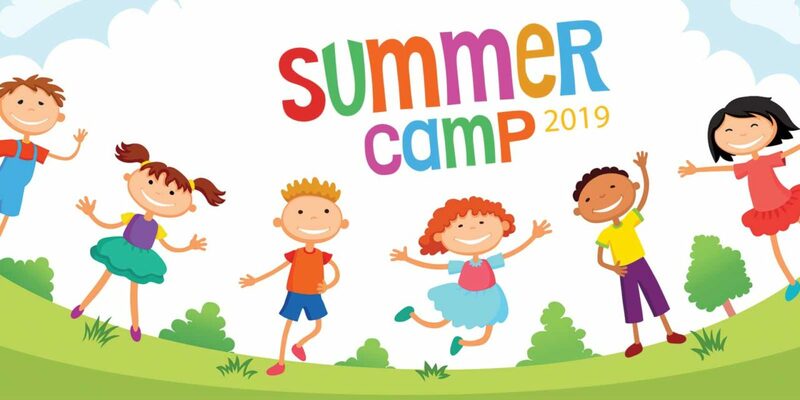 If your child has been ill but is feeling better, yet has still awak­ened with a minor problem, such as a runny nose or slight head­ache, you can send her to school if none of the three circumstances listed above is present. Even so, make sure the school and your child have a phone number where you can be reached during the day if more serious symptoms develop and she needs to return home. Share the fun this holiday with these Thanksgiving activities for kids.Thanksgiving is a time when families get together to share a meal and take time to be thankful for everyone in their lives. As parents, we know all too well that sharing that meal comes with a great deal of preparation, not to mention an even greater amount of stress. Add children running around the house to the mix and you have a recipe for chaos. This year, get your children involved with preparing the Thanksgiving dinner and make the experience not only more meaningful for you as a family, but also a lot less stressful for you in the kitchen. Here are 16 ways to involve kids of all ages. Here's how even the littlest of kids can help with the celebration. "We use a Hershey's chocolate kiss and hide it somewhere among the meal," says Chelsea Duggan, director of Milestar Babies. "The person who ends up with it on their plate gets a special wish." Duggan recommends reading the book "Stone Soup" and encouraging each child to bring an ingredient to the table as a way to showcase how important everyone's role is in the meal. Don't give kids busy work. Make them feel as if they're really helping in the kitchen. "The younger set can also mash potatoes, tear lettuce, wash just about anything in the sink with a colander," says Meghan Leahy of Positively Parenting. Planning the meal is not the only way to get children involved in preparation. Leahy suggests asking them to prepare the table. "Have them collect outside nature items to help spruce up the table, create little hand turkeys as seating cards, create placemats or create decorations for the house." Try these activities for slightly older kids. Don't just stick with the normal ingredients. Parenting expert David Bakke recommends that you "Encourage your children to come up with alterations to recipes and use their creativity. Instead of the normal topping for sweet potato casserole, create a corn flake/pecan mixture or use chocolate chips. Top your mashed potatoes with melted cheese. The possibilities are endless." Have a family contest to see who can earn the title of fastest roll maker. We all tend to sit at the same seat for most meals or by the same people. Have the children come up with a dinner seating chart. Mix it up by having different relatives with different ages sit next to each other. At the dessert course, have everyone switch seats. Make the Thanksgiving dinner more kid-friendly by creating kabobs of various dinner items. Duggan suggests making one with a small piece of turkey, green bean, roll and cranberry all threaded together. Be inspired by these easy tasks. "The best way to get children involved in helping with dinner and encourage their feelings in gratitude is to involve them months earlier in the planting of foods to be made into special Thanksgiving dishes," says Ilene Barth, creative director of the family-oriented book publisher Red Rock Press. Barth also suggests bringing your children with you when purchasing the food, preferably at a local farmer's market or farm stand. "Place all of the ingredients you need, plus some you don't on the table," suggests Duggan. Encourage the kids to read the recipe and gather exactly the right ingredients." Thanksgiving dinner is not limited to food alone. Have your children tell the story of Thanksgiving in their own words or even have them act it out in a play. A little dinner theater goes perfectly with any meal! Discover new recipes. Barth recommends the "White House Garden Cookbook" for family-friendly recipes, including white house honey cupcakes and baby carrots with orange juice and cinnamon. Give older kids more responsibility. Give them the task of setting the turkey timer and telling you when it's time for basting. Let them come up with a side dish or supervise the younger children. Duggan suggests inspiring kids' entrepreneurial spirit by having them plan the Thanksgiving meal as if they owned a catering company. What recipes would they make? What are the most efficient ways to set the table with the least amount of work? Have them come up with their own name for their company and pay them with dessert or a few chocolate coins. Duggan suggests having each child come up with a salad "theme" for the main meal. Write down what ingredients to use and how they plan to go about creating their "theme." Ask your child to come up with ideas for music, decorations and color schemes for the table that create a fun and enjoyable meal. The possibilities are endless. Taking that extra time to include your children in preparing the Thanksgiving meal will not only make the day that much less stressful but will create memories both you and your children will treasure forever. Pumpkin decorating is a great activity for fine motor skill development. 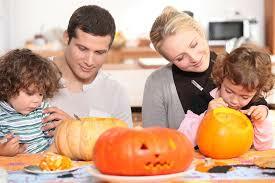 Carve or paint pumpkins with friends or family! If you have time, you could save the seeds and innards to make toasted pumpkin seeds or bake pumpkin bread later. Corn mazes can easily become a fall tradition for your family or close friends. Stay in a group and get lost together weaving through tall rows of fresh corn. Corn mazes are also a great way for kids to exercise problem solving, memory and leadership skills as well. Let children take turns leading the group. Haunted houses can be a ton of fun if you let kids plan and operate their own version. Set rules about props, equipment, and cleaning up afterward and allow kids some free time to create their own “haunted” experience. Let the kids think through the path their visitors will take and space out spooky aspects along the way. If creating a haunted house is too scary for your child you can create a fall fun house displaying pumpkins, scarecrows, and other fall-themed decorations. Gather neighbors and other adults to walk through and enjoy the fun. Scavenger hunts can be a great adventure for kids. Get creative and make up a scavenger hunt for your kids. Have a friend or partner hide and be the treasure the clues lead to. Divide into groups so no one is running around outside in the dark alone. If young children are playing, assign each time a grown-up captain. Werewolf Tag is a name for playing hide and seek tag outdoors after dark. There are many names for this simple but fun game. Be sure to establish boundaries before play starts. If younger children are hiding, break into pairs to hide. Once the people hiding have been spotted or suspect they’ve been found, the chase is on! No one is officially out until they’re tagged. Once someone is tagged they join the werewolf so there’s more than one seeker. By the end of the game there’s a whole pack of werewolves! Flashlight tag is a nice alternative if Werewolf tag is a little too scary. Play tag at night, but participants carry flashlights so they can be seen and can see around them. Lantern making is a fun crafting idea and a great way to decorate for a party. Simply take some brown or white paper lunch bags and cut fun shapes and designs into them. Put a little bit of sand into the bottom of the bag and place a battery operated candle in the base. Costume report means doing something like a book report but covering a Halloween costume instead of a single book. If your child is dressing as a famous person or character, help them read and watch information on this person and prepare a little oral report that they can give in class, at show and tell, or for family members. If your child is dressing as an animal or thing, they can do research and prepare a report. Your child can also include why they chose to dress up as this particular character or animal. A presentation like this one will help practice communication skills. ** It’s important to modify activities depending on age or ability of your children. Parent supervision is necessary for each activity listed. Talk to your children about safety during the Halloween season in order to ensure everyone has a fun time. Whatever your child’s age, a specific question, or even a specific statement, may prompt more of a response than the more general “How was school today?” If you listen to your child’s answer, and (if the opening is there) ask another question, you’ll be on your way to a meaningful conversation. So why don’t our kids want to tell us about their day at school? And why do we think we need to know every detail? And how can we become more effective listeners? To find out, take a look at the situation from your child’s perspective and compare it to your own. “How was school?” and “how are you?” are not really questions — they’re greetings. A problem arises because we expect an answer. But the question is so general that it’s difficult for kids to answer, particularly when they are on overload from a challenging day at school. “What parents are trying to do when they ask ‘how was school?’ is to make contact with their child,” explains Michael Thompson, Ph.D. But we don’t realize that the question “how was school” may not be the most effective way to connect. Kids often think adults ask too many questions.“And they are right,” adds Thompson, “we do. Adults are often just trying to start a conversation and don’t understand that their questions make a child feel put on the spot. Be aware that a question from a big person like you can place demands on a small child, even though you don’t mean it that way.””It’s important to also be clear why you are asking children about school. Is it merely chit chat, are you looking for something more meaningful, and are you communicating in ways that relate to your child’s experience?” notes Diane Levin, Ph.D.
School can be hard for kids and that’s why it’s hard for them to talk about it.Every day at school, kids get things wrong and make mistakes. That’s how they learn. But generally, kids don’t want to come home and say, “I was frustrated by my mistakes but I learned from them.” They would rather come home and say, “I got everything right.” Their feelings about meeting the expectations of their teachers, their parents, and themselves can make school a challenging topic to discuss. So — should we stop asking questions? No. But you might ask fewer ones and try not to get crazy when your kids don’t respond the way you want them to. Remember that if your kids don’t want to talk, it’s not a rejection of you. When you do speak, try to find ways to discuss what’s meaningful to both your child and you, because this shows that you care. With back to school looming, now is the time to start thinking about getting your children back on a routine when it comes to getting to bed at a decent hour. Now’s the time to start implementing a sleep routine that will help ensure your kids get the sleep they need each night. Give your kids the best chance at excelling in the classroom by making certain they get enough sleep. Students who get between nine and ten hours of sleep a night perform at their highest level. Get the kids involved when it comes to setting up a bed time. Make the process gradual rather than immediate, so kids have time to adjust. Set a goal to have your children back on a school sleep routine one to two weeks prior to the first day of school. Move bedtimes up by 15 minutes each night until you’ve hit the target time for bed. Turn off the television and other distracting electronics such as video games and iPods about an hour before bedtime. This will help your child wind down for the night. Set a good example for your children by getting enough sleep yourself. Your kids need between nine and 10 hours a night and adults need seven to eight hours. Make sure your kids are getting the proper amount of exercise each day. Exercise can help your body increase the deep sleep it needs each night. If your child cannot sleep in total silence, invest in a white noise machine or turn on a fan. Be consistent; don’t confuse your child’s sleep pattern by changing the bedtime on weekends. Keep the same sleep time all week long. Helping your child get into a good sleep routine will benefit their academic performance and help them become more engaged in activities in and outside of school.